Scotland has long been a walker's paradise with a wide choice of countryside rambles through magical glens, airy coastal walks, long distance treks or, for the more adventurous, majestic mountains to climb all surrounded by wonderful and varied wildlife. trails and walkways, many with stunning views of the Clyde. 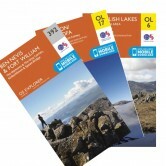 This OS Map bundle SAVES YOU MONEY and contains the 3 OS Explorer Maps you need to explore Ben Nevis, Snowdon and Scafell. 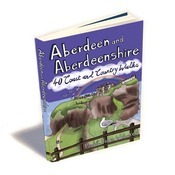 The A-Z Adventure Series combines the best of OS and A-Z creating the perfect companion for walkers, off-road cyclists, horse riders and anyone wishing to explore the great outdoors. The AA have selected the top 25 sights and experiences so you can be sure that you won't miss the best of them. 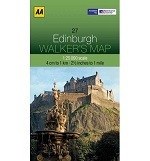 This guide features 40 shorter walks exploring the city, market towns, coastal villages, woods, cliffs and moors which make this area so diverse and rewarding for the walker. For those with pushchairs or wheelchairs, or just wanting an easy walk with few obstacles, this is our unique range of books. Angus is the historical heartland of Scotland, a county where the past has left an indelible mark on the present. The Annandale Way is a charming long walk in a little-known, but very accessible, part of southern Scotland. Beautifully illustrated, Another 100 Scotsman Walks is a delight for active or ex-walkers, the would be explorer or armchair enthusiast. Perfect for the whole family, young or old a book in fact for everyone and doing the Howies’ will be bags of fun. 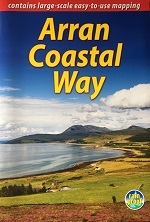 The Arran Coastal Way is perhaps Scotland's finest circular long-distance trail, running 65 miles (105 km) around the Isle of Arran in a memorable week-long hike from Brodick. New generation HARVEY Superwalker, XT25 waterproof, is designed to be the most practical tool for navigation outdoors. This guide contains 40 of the best walks on the island. Some will occupy you for a few hours, some will take all day and some can be linked together to form wonderful multi-day adventures. The start points for all the walks can be accessed by public transport.